6 Great Elements to this Combo! This 6-feature Combo Bouncer is perfect for the energy filled guests at your party. Brightly colored in red, yellow, blue and green, it's sure to be a great centerpiece. For use wet or dry! 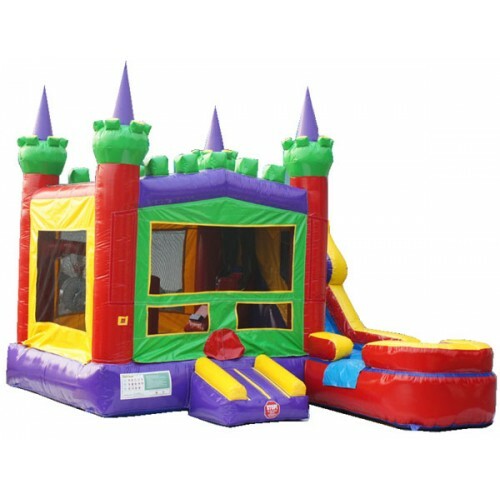 This Bounce house combo has a Slide, climber, bounce area, small obstacle inside , hoop inside and out! This is sure to be a HUGE hit at your next event.